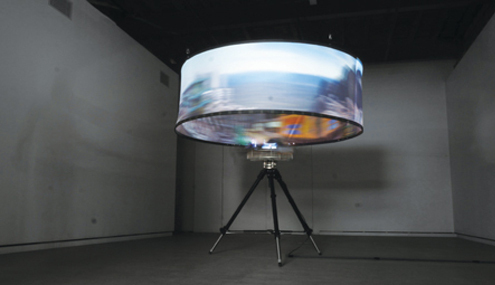 Point of View explores the boundaries between real and virtual space and the relationship between the observer and the observed. Featuring work by COFA staff Volker Kuchelmeister, Josh Harle and Chris Henschke, the exhibition utilises electronic media to explore the boundaries of the cinematic image and investigate the limitations traditional ocular optics put on our perception of mediated imagery. This exhibition is presented by COFA + ISEA2013.